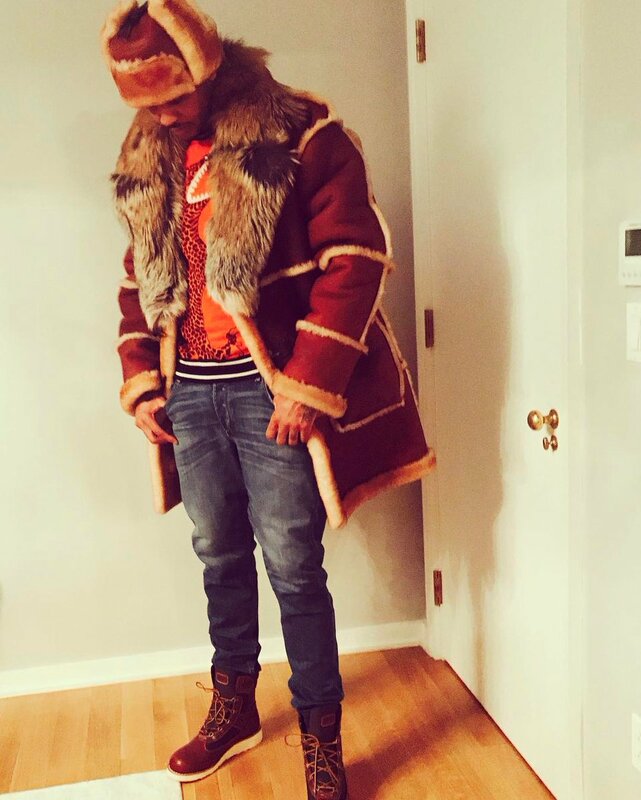 The NBA Superstar made a winter fashion statement, keeping warm during NYC’s latest blizzard donning a custom Daniel’s Leather shearling coat. The luxury men’s coat features an American sheepskin shearling with cross fox fur. 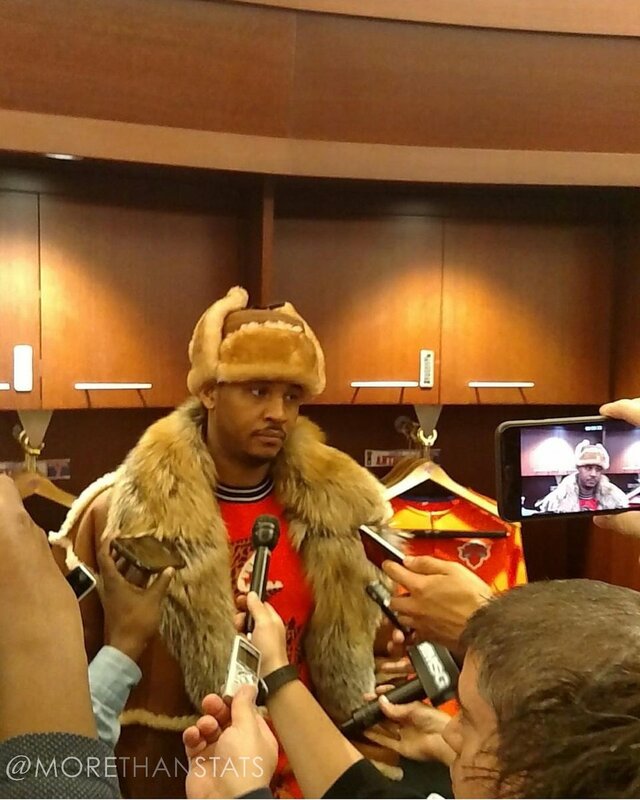 TMZ Sports spoke to Nadeem Waheed — owner of Daniel’s Leather in New York, who let them Know that Melo dropped $5,000 for the men’s fashion coat, and $500 for the fur hat. Fur doesn’t come cheap gentlemen.